"Halloween Mischief Address Labels by Lorrie Weber" product is already in your cart. 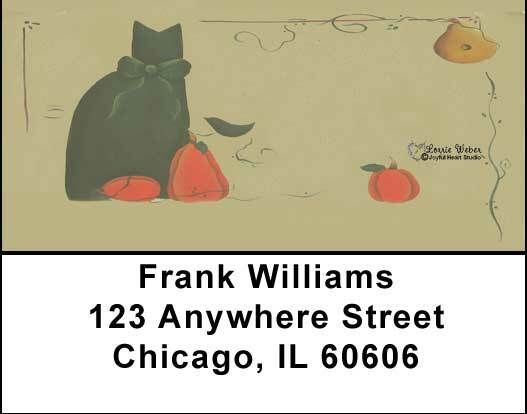 Halloween Mischief Address Labels by Lorrie Weber feature holiday icons like the black cat and the orange pumpkin. Halloween originated with the Celtic festival of Samhain (pronounced sow-in) which marked the end of summer harvest and the beginning of winter, associated with death and darkness. Let your inner trouble-maker out by using Halloween Mischief Address labels by Lorrie Weber. Matching checks are also available.